Open for business April until mid-September. The club was formed in 1988 and is situated opposite the Church in Church Lane. It is a private club which means the members have to maintain and fund the care of the surrounding area and the green. 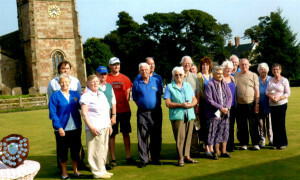 The club does not play in any of the local leagues but play two friendly matches a week with local clubs during the season as well as club competitions. Weather permitting, members are at the green most evenings from 6.00 pm. Subscriptions for 2018: Full members – £30.00 First time members – £15.00 NEW MEMBERS ARE ALWAYS WELCOME. 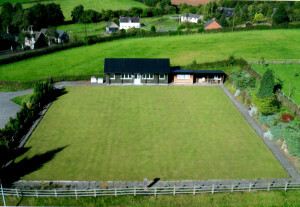 During the darker months the lawn bowling makes way for the indoor bowls. This takes place every Friday evening from January 19.00 – 22.00 in the Parish Hall. This is a good time to join. You don’t need any bowls as the club has sets for indoor mats. – just turn up with your £2.00, you’ll have a very warm welcome.